Blog Archives - Page 2 of 7 - Ladibugs Inc.
November 14, 2013 by Ladibugs Inc. Some people react to my obsession with parenting, money and values by assuming that it has little to do with them. Take my friends in a low-key Midwestern state, who are both public-sector employees. Wasn’t this topic, they wondered, something that only affluent suburban parents or private-school people needed to worry about? But then came the holidays. The spending. The (endless) wrapping. The grandparents’ determination to grant every wish. And the management of their older child’s high expectations, which seemed to come out of nowhere. Then, they got it. So how do we begin to change the tenor of the season without becoming an army of Scrooges? One way to start is to make generosity part of the holiday routine. Below are some ideas worth trying. But if you have others that you’ve tested in your own family, please put them in the comments or jot me a note, and I’ll highlight a few of them in a future post. 1) THE TOY GIVEAWAY This tip comes from my cousin Celine Faccini-Krimston, the mother of two boys and an early-childhood educator herself. When her kids get new toys, they must also pick out some old ones and give them away to other children who don’t have as many. There is a basic logic to this: If you want new things, then you’re probably done with the old ones. But the values piece is key, and she’s driven it home over the years by having her kids take the toys they’ve outgrown and hand-deliver them to organizations that will put them to good use. One recent recipient is a school for homeless children. 2) THE BLANK CHECK If you give children money so they can buy whatever they want most, consider the possibility of sending two checks instead of one. Make out one check to the child. With the second check, however, leave the “To” section blank. Then, send instructions, asking the child to give the money to a person or organization that’s trying to do some good in the world. You might ask the child to send you a note explaining where the money ended up, so the giving also becomes an exercise in articulating what moves him most and why. 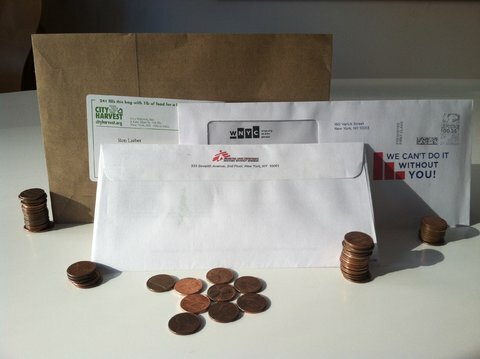 Including a self-addressed stamped envelope can help the recipient remember to close the loop. If you’re the gift-card type, you could try sending one from Donors Choose, which allows a recipient to direct money to teachers who have made specific requests for materials that their town or city cannot provide. I’ve done this with my daughter, who happened to be in a tie-dye phase at the time. On a lark, we did a search on the site for those keywords, and we were able to help a classroom full of kids in New York City create their own psychedelic shirts. 3) FAMILY GIVING If you’re like many families, you probably give away a chunk of your charitable budget at the end of the year. That’s when the holiday spirit (or the tax-deduction deadline) may move you most, and nonprofits are likely to be soliciting heavily. So here’s something to try: Keep every one of the direct-mail pieces that lands in your mailbox. Then, sit down and review them with your offspring. What appeals to them and why? Who needs help that they didn’t even know about? There are other ways to handle this too. You might simply hand over 5 percent of your charity budget to your child or children and let them decide where it goes. If you have more than one child, you could ask that they decide together, or you could split the money and let each child do what she or he wants. Every year, consider increasing the budget a bit so that you’re less in control. In our family, we’ve turned over the last night of Hanukkah to giving, not getting. But you could do this Dec. 23 or Dec. 26 or the day after Thanksgiving or whenever it’s convenient. Or perhaps you already have. If so, how did it go? Ron Lieber is the Your Money columnist for The New York Times. He’s currently on leave to write “The Opposite of Spoiled,” a book about parenting, money, values and raising the kinds of children all parents want to push out into the world, no matter how much money they have. He hosts regular conversations about these topics on his Facebook page and welcomes comments here or privately, via his Web site. November 8, 2013 by Ladibugs Inc.
Head lice at school. Has it ever happened to you? How do you deal with it? This post is in respond to the new policies in Washington state on head lice. The article “Should kids with head lice be allowed at school?” on CBS News talks about the “more” lenient” head lice policies at school that are bugging some parents. Lice are “icky”, and they can cause an infectious process when children have a heavy infestation and itch profusely– causing reddened areas at the nape of the neck and behind the ears. 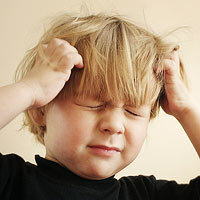 Lice are easily passed between 1 child to the next. It only takes 30 seconds of head to head contact for them to be transmitted. Sending notes home to parents is a fabulous reminder for parents to check their children for head lice. It is just like getting a strep throat notice home, if your child complains of a sore throat, you will take them more seriously if you have received a note. As with head lice if you just received a note and you notice your child itching you are more apt to check! Lice is difficult to treat with the commonly used OTC medications and even prescription medications. Studies have shown that the OTC treatments are definitely not 100% effective and there is nearly no efficacy on the nit. This is why there is a need to retreat after 7 days (after the nits hatch and there are more live bugs!). Thus exposing children to more harsh chemicals!! Parents are missing work to take care of the issue and will make investments in companies such as Ladibugs, Inc. who uses a FDA cleared medical device along with their product line with an all natural approach while others are at there wits end on how to manage the overwhelming situation. Parents NEED to know about the problem in the class room in order to check their child. Parents need to be educated. This is not a hygiene issue. Children need to be educated about sharing hats, helmets etc. Lice is only 2nd to the common cold in what children bring home from school. It’s time to stop trying to hide that issue and face it with education surrounding lice and their life cycle and ways to eliminate the issue in a all natural way to protect our children and ways to prevent. November 4, 2013 by Ladibugs Inc.
Every parent tries to be aware of the dangers that their children face every day, including ensuring that they are safe in their own home. However, no matter how proactive you are in child-proofing your home, you may not realize some everyday items could present unknown dangers. Workout Equipment Safety. Nearly 25,000 kids are injured every year because of workout equipment. Be sure to keep your exercise equipment in a locked room, remove and hide the safety key in a place your children will not find it (this way the machine will not turn on), and put your weights in a place your children cannot access them. Bathroom Safety. 40,000 emergency room visits a year are made by children who suffered injuries in their own bathroom. Make sure you have safety caps on all prescriptions and medicines and put all cleaning products in a locked cabinet or up high out of their reach. Never leave young children alone in the bathtub or near water and keep the floors dry so your kids do not slip. In the Bedroom. Almost 10,000 babies and infants are injured in cribs and playpens each year. To keep your kids safe from the potential dangers in their own beds, be sure to check the furniture so that it is steady and there are no sharp edges. Don’t use any type of plastic sheets on their beds, never tie pacifiers or bibs around your child’s neck before putting them to bed, and avoid cribs with cutouts that a child can slip through or become stuck in. Living Room Dangers. The TV is a frequent cause of injuries that are treated in the emergency room. Make sure your television in out of your kids reach so they are unable to pull it over on themselves. Cords from blinds or drapes, and other rope-like treatments, present a strangulation danger for your kids, so be sure they are put up high so your kids are unable to get their hands on them. Be Safe in the Kitchen. The kitchen contains more dangerous items than any other room in your house and is the most dangerous to your children. When using the stove, always use the back burners and be sure the handles are turned inward. Keep your kids away from blenders and beaters; many kids have gotten their hair and fingers tangled up, so be sure to remind them pull their hair back and not to touch. Keep your cleaning supplies out of reach or in a locked cabinet, this way your kids can’t get into any chemicals that could be fatal to them. Many children like to help their parents cook in the kitchen. Before you allow them to help out, make sure you go over the rules that you have set to keep them safe. Never let your kids cook alone until they are at an appropriate age and have your permission to use the appliances without your supervision. October 23, 2013 by Ladibugs Inc.
At 2 years old, it took my daughter, Quinnlyn, exactly one house to figure out how the whole trick-or-treating thing worked. That’s when I fell into a parenting crisis. After much scrutiny, she chose to be Supergirl for Halloween in 2014. She had no clue who that was — and still doesn’t — but dang it, the costume looked cool. We went out in South Minneapolis with a friend of mine — whose daughter was a dragon — and had, in my biased opinion, the two cutest trick-or-treaters in the neighborhood. It was fun to watch. We explained what she was going to do and sent her up to the first house. After that, she was in the zone and we had to reel her back in when she tried to approach houses without the front lights on. I was in true parental awe as I watched her embrace this new activity and basked in the glow of the girls’ laughter and smiles as we made our way down the block. Suddenly, reality set in and I started wondering what I was teaching my daughter: “strangers + candy = AWESOME!” As I wondered how to explain to a 2-year-old that this is only a one-day-a-year thing — even though she didn’t know what a “year” is — and that she shouldn’t take things from strangers, though everyone is a “stranger” to her, I was awoken to the traffic whizzing by on the busy street behind me. That’s one of many moments where the balance of parenting was woefully tricky; it’s easy to get lost in a child’s joy and happiness. I believe that I have a responsibility to protect Quinnlyn’s sense of imagination, and what better way to explore imagination than pretending to be a superhero for a day? Halloween shifted from just a fun day to an important moment in her development; how quickly I forgot to make sure she had boundaries and understood where risks existed. It’s easy to get lost in surprise at how much their young minds understand and, in turn, forget about all the things they don’t. After all, it’s not easy to immerse them in an environment that’s full of “fake” danger — scary creatures hiding in the darkness that light up and move as you approach, or ghoulish costumes designed to turn the strongest of stomachs — while teaching them to respect real danger. Talk to your kids about Halloween before they go out — give them boundaries and teach them that not everything out there is designed to be fun. Wear reflective clothing and make sure everyone has a light with them. Supervise children at all times and monitor interactions with people who answer the door. Cross the street only at intersections and be sure drivers see you. Inspect all candy and “treats” before they eat any and throw away anything that’s opened or looks suspicious. This year, I’ll be taking my little zebra rider out into the neighborhood, but I’ll make sure our Halloween experience isn’t a total zoo. October 18, 2013 by Ladibugs Inc.
October 15, 2013 by Ladibugs Inc.
Child itching scalp. Itchy head. Irritated scalp. Or maybe just “the note” from the school nurse. These are the telltale signs that lice may be headed your way. Every year, these wingless parasites infest 6 million to 12 million children ages 3 to 12, according to the Centers for Disease Control and Prevention (CDC). 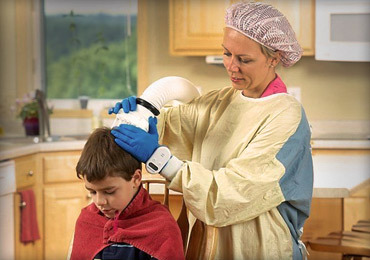 “Kids often get it in September because they are back in school or have recently returned from summer camp,” says Sally Kelly, R.N., a school nurse who makes lice-removal house calls in and around Chatham, New Jersey. Pay special attention when you brush your child’s hair at the beginning of the school year, so you can catch any problems early. Knowing this background info will help you get rid of them if they decide to pay a visit. Head lice live only on the human head, feeding on blood several times a day, and must remain close to the scalp to survive. Louse eggs are called nits. Nits are oval-shaped (think of a knot in a thread) and so small that they’re sometime mistaken for dandruff. They’re usually yellow to white. A female louse can lay up to eight eggs per day, firmly cementing them to the hair shaft less than 1 centimeter from the scalp. The eggs hatch in about a week, and their dull-yellow shells remain on the hair shaft. A newly hatched nymph looks like an adult head louse, but it’s about the size of a pinhead. They become adults in a week, growing to the size of a sesame seed, with six clawed legs. Head lice are tan to grayish-white in color. A louse can live up to 30 days on a child’s head. To survive, it must feed on blood several times each day. Without these “meals,” it will die within 48 hours. When a child has head lice, he will probably complain of an itchy scalp or will scratch his head, particularly at the nape of his neck, perhaps because it tends to be a warmer part of the scalp. If your school sends home a note about a head-lice outbreak, examine your child’s head, even if he’s not itching. “Kids can itch, because most will develop an allergy to louse saliva,” says Kelly. “But not everyone develops the allergy. My daughter didn’t itch at all. I was just putting her hair in a ponytail, and I saw a bug.” Lice are sensitive to light and will scramble away when you see them. “They crawl fast,” Kelly says. “They’re not like a tick that just sits there, feeding. It’s easier to find the nits, so look for those first. Nits are more likely to be within 1 centimeter of the scalp; if they’re farther from the scalp than that, they’re almost always hatched or dead. 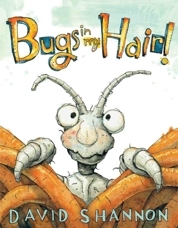 October 8, 2013 by Ladibugs Inc.
David Shannon, the author and illustrator of a new picture book for kids, Bugs in My Hair!, learned about his subject — head lice — the hard way. Actually, it wasn’t as hard for Shannon as it was for his daughter, Emma, and his wife, Heidi. They were the ones with the itchy scalps and lice. Shannon, 53, merely wrote about it. He also imagined what the blood-sucking bugs might look like if magnified about 1,000 times or so. It explains that louse eggs are called “nits” (hence, nitpicking) and that louse (singular for lice) is where the word lousy comes from. 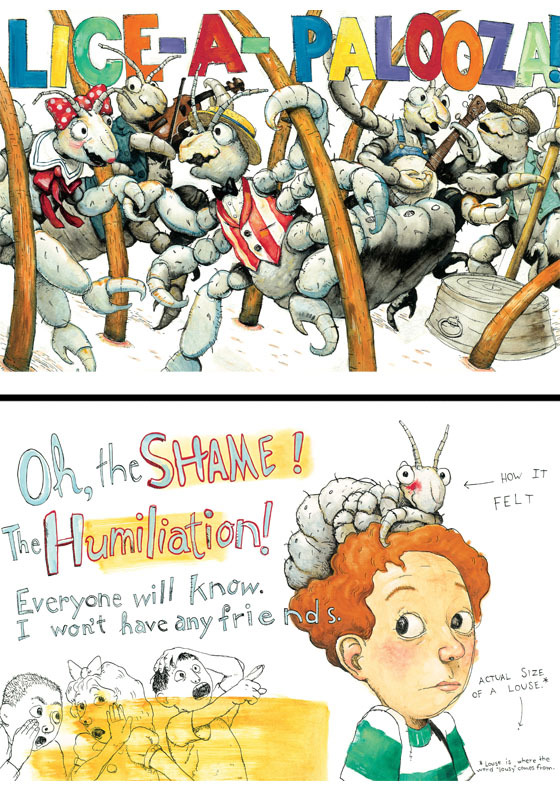 It’s narrated by David, a red-headed boy reminiscent of the boy in several of Shannon’s previous works, including No, David!, a Caldecott Honor winner. David’s boy’s mom eventually comes to the rescue with “battle-tested anti-lice weapons,” including a nit comb and “stinky stuff that lice hate,” which involves eucalyptus and peppermint oil. Head lice are spread by “direct contact with the hair of an infested person,” often at schools and playgrounds. One of them, his wife, has moved to writing her first romance novel. It does not involve lice. September 27, 2013 by Ladibugs Inc. Most schools have policies on head lice and treatment requirements, including when to send children home and when they can return to school. If you need more information about how to ensure your child does not fall behind on school work, your child’s school nurse, teachers and other trusted staff members can be a great resource. The National Association of School Nurses (NASN) recommends that children found with live head lice should remain in class, but be discouraged from head-to-head contact with other children. The organization also recommends that a school nurse should contact the parents of an affected child at the end of the school day to discuss treating that child. Some schools have “no-nit” policies requiring all nits be removed from students’ hair before they can return to class. A number of organizations, including the Centers for Disease Control, American Academy of Pediatrics and NASN, oppose “no-nit” policies because they often keep children out of school for an unnecessary length of time. If you have any questions or concerns, or simply want to learn more about your school or district’s policies on head lice, you may also want to reach out to your local Parent Teacher Association or Parent Teacher Organization to get additional information and support. September 24, 2013 by Ladibugs Inc. Adult head lice are roughly 2-3 mm long. Head lice infest the head and neck and attach their eggs to the base of the hair shaft. Lice move by crawling; they cannot hop or fly. Head lice infestation, or pediculosis, is spread most commonly by close person-to-person contact. Dogs, cats, and other pets do not play a role in the transmission of human lice. Image: Two lice viewed under an electron microscope. Note the claws used to grasp onto individual hairs. Are you traveling this Labor day weekend? August 30, 2013 by Ladibugs Inc.
Are you traveling this Labor day weekend? As you know many children come back from vacation with an unexpected guest in their hair: head lice. •Avoid head-to-head contact during play, sleepovers, or other activities at home, the beach and elsewhere. • Don’t share combs, brushes or towels. Do not share clothing such as hats, scarves, coats, hair ribbons or barrettes. • Once lice are in a family, 85 percent of siblings, 65 percent of moms and 10 percent of dads become infected. Re-check everyone in a household where a lice infestation has been confirmed every few days for at least 10-15 days after an outbreak. • Pack your Ladibugs Mint Spray to prevent head lice and you will be set to go!